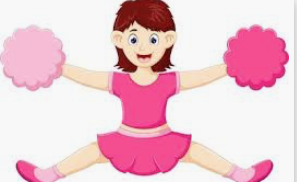 Have you ever wanted to know about cheerleaders and what is put into all the events they do? Well if you have, welcome! Cheer spirit is important to the school because we get the crowd excited for the event and make it a fun environment for everyone. Some ways to have or show spirit are shaking your poms and charging the crowd. You can do this at any events like basketball games, football games, and pep rallies. Everyone shows their spirit differently and that’s OK. You can show it in the stands or even on the track. It takes a lot of energy to yell and get the crowd involved, so we need to save our voice for that event. How we save our voice for the event is by giving 80% during practice and 110% during the event, by doing this we have a louder voice to make everyone enjoy the event. By them having fun it makes us happy and we feel successful because that’s the point of cheerleaders: to get the crowd to show the school spirit and make the stands roar.